Couvet, Switzerland - where it all started in 1797. Located in the beautiful Val de Travers near the French border, and just across the French town of Pontarlier. Pernod had production in Couvet, as did many other distillers and many of the finest absinthes came from the Val de Travers region. An attempt at turning a La Bleue into a verte. A few of the Val-de-Travers distillers have tried it but not many have pulled it off. 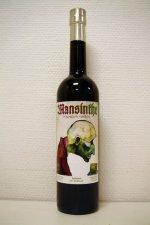 Absinthe drinker and shock rocker Marilyn Manson actually did play part in the making of this absinthe. Made by Matter-Luginbühl and Markus Lion. 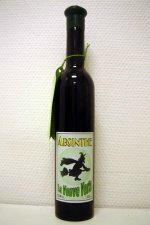 Regardless of what one might think of Manson, this absinthe is really quite good. 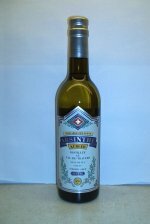 The Mansinthe was awarded a Gold Medal at the 2008 San Francisco World Spirits Competition. A Swiss La Bleue made before the re-legalisation. 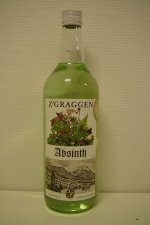 In other worms Hausgemacht, clandestine Swiss absinthe. 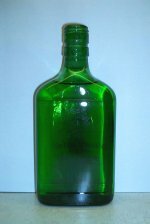 An absinthe verte from Matter-Luginbühl in Kallnach. Made for a local motorcycle club. The new Swiss La Bleue from Kübler. The old 57% version has since been discontinued. The Kübler 53 was awarded a Silver Medal at the 2008 San Francisco World Spirits Competition. 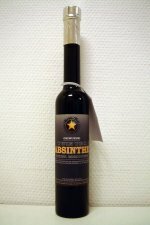 The Christmas absinthes from Matter-Luginbühl are made in small limited batches just in time for the holidays each year. 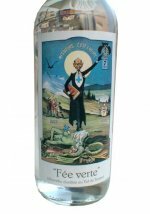 Very few Swiss distillers seem to know how to produce a fine absinthe verte. This certainly isn't one of them. 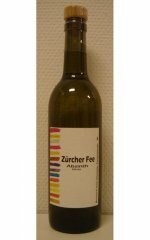 The Zürcher Fée Absinth apparently exist in different variants. One that louches perfectly and is really tasty and then one which is the exact opposite. Problem is that the labels are identical... Why? !